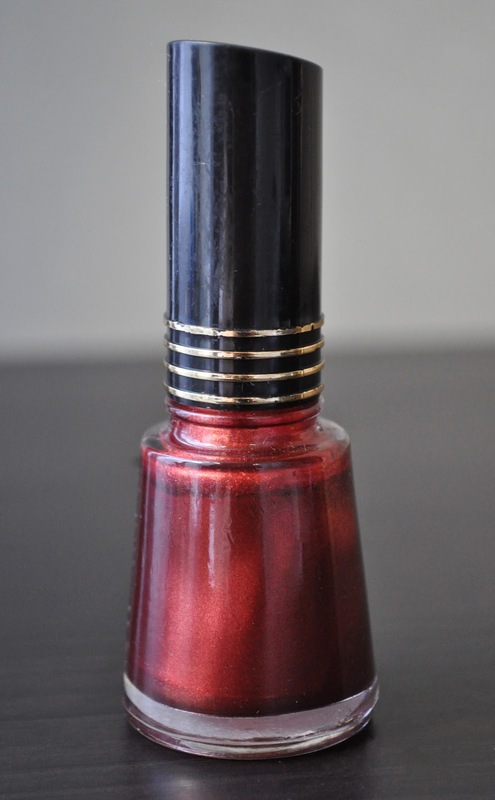 I've had this polish for so long, that the lettering has rubbed off :P Revlon's Blackberry is a sophisticated, deep, bronzed rose-red shimmer. The formula runs a little on the thin side; however, you can achieve the same opacity as the bottle with three coats. Three coats may be one coat too many for some, but Blackberry applies smoothly, streak-free, and has a lovely glow. What nail polish are you wearing at the moment? Thank you Niesha <3 Blackberry Stains is a polish that would look beautiful on an array of skin tones. Wow, you can remember your first polish...amazing! Is Blackberry Stains still available? You'd love this color Ari! I'm not sure if this is still available in stores, but I have seen it on Amazon and ebay.